Equilibrium Float Center is the first of its kind in Santa Cruz CA. We have two Zero Gravity float rooms available as well as massage and acupuncture. 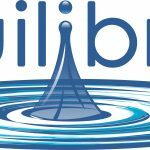 Equilibrium Float Center is located at 543 Seabright Ave 95062 on the corner of Seabright Ave and Logan St.
Equilibrium Float Center is the premier location to Float in Santa Cruz, California. We are open 10am-10pm 7 days a week. It is strongly recommended that you make a reservation on our website before coming by the location. We hope to see you for a float soon! Equilibrium Float Center offers sensory deprivation / float tank therapy in the Santa Cruz, California area. They will help you get the most from your float tank experience. Contact Equilibrium Float Center now to schedule a float. Are you considering trying floating in Santa Cruz? Equilibrium Float Center has a float tank available for your use. Come try out floating in a sensory deprivation tank to see and experience the benefits of floating for yourself. Call Equilibrium Float Center at 831-295-7312 or stop by to set up your first float in Santa Cruz. This entry was posted in California by austin. Bookmark the permalink.